The day before Digital Book World (which this year was last Tuesday, January 13th), we organize a conference about publishing for young people called Publishers Launch Kids. Because my involvement with juvie publishing over my half century in the business has been relatively cursory, we are fortunate to have recruited our friend, Lorraine Shanley of Market Partners International, to be the Conference Chair and program the show. She invites me to join a wrap-up session at the end of the day. I bring a “fresh perspective” because I am relatively lightly burdened with prior knowledge before I hear all the speakers. Lorraine delivered a consistent theme, which was that kids’ publishers are finding new revenue streams. Subscription is one of them. Tapping big brand promotional dollars was another. And some of the new-style digital publishers who are creating their own IP are turning books into a subsidiary right, licensing back that IP to more pure-play book publishers. I was delighted that I found myself able to offer comments in the wrap-up that the audience seemed to think added insight to their day, so I’m repeating those observations here and adding another in hopes that it will do the same for yours. The first point is around the general consensus, widely reported and commented upon, that kids publishing is the one big bright spot in the industry, carrying all of the Big Five publishers to expanding margins and profits. But when the facts are examined a little more closely, it is clear that there are real limits to the conclusions that should be drawn from the data that lead people to that belief. Publishing revenues are credited based on the BISAC codes associated with each book published. The phenomenon of the past few years, really going back almost two decades to the launch of the first Harry Potter book, is the massive adult audiences for books intended, and tagged, for YA audiences (and sometimes, as in the case of a book called “Wonder” — or Harry Potter itself for that matter — books that are tagged for even younger readers). Well, the stat-masters from Nielsen Book made it clear how distorting those sales can be in their presentation, where they showed that 80 percent of the sales of YA novels are made to adults for their own reading! 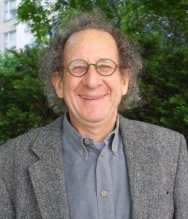 Since one of the core challenges we acknowledge for juvie publishing is how to overcome the teacher and parent gatekeepers between the books and their intended audience, that data would make it appear that the gatekeeper question is not nearly as consequential as we might have thought. Or, at the very least, for a big chunk of their list, it isn’t the most relevant marketing challenge. And that raises a second point. It is clear that juvie publishing, like all trade publishing, needs to clearly separate the titles and attributable revenues that are straight text from those which are not. We have long advocated this perspective for adult publishing because of the clear and consistent evidence that straight text books port successfully to digital and other books do not. Of course, that would be true regardless of the age level of the books. But aside from the differences in performance based on format, YA has a divide that is also based on audiences. Without making that distinction, meaningful analysis of sales data to inform marketing becomes nigh on impossible. There is an analogy here to a different dichotomy. 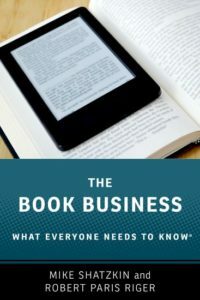 We have said for years on this blog that looking at the division between print book sales and ebook sales by genre or category or publisher is much less meaningful for analysis or business decisions than looking at the sales made online versus those made in stores. Obviously, about 100 percent of the ebook sales are made online but that only tells a part of the story. As publishers consider resource allocations from marketing and sales staffing to where promotional efforts should be focused, the more meaningful distinction is how people buy than in what format they read. And the meaningful distinction for publishers looking at sales to figure out how to get more of them is who buys and reads their books, not what reading level they were theoretically aiming for. There are some other implications of this matching of books and actual audiences. One is that it certainly possible, and perhaps even likely, that the ability of the kids’ divisions of Big Five houses are better positioned to go after those adult audiences than a kids-only house would be. To the extent that adult-division marketers get involved in pushing the books that come from the kids books editors, they press that advantage. I also came into Pub Launch Kids with an old idea that the discussion that day only reinforced. I can’t understand why each of the Big Five publishers isn’t operating its own subscription program for juvies: all of them across grade levels, picture books and chapter books. Here’s my logic. Just about every parent would love to be able to hand a kid the tablet or phone they could read on and let them do their own “shopping” for books. But they don’t want to give them the ability to spend money. Subscription is a simple answer for that. Lorraine had put together a great panel of companies for Launch Kids with subscription offerings: MeeGenius, Speakaboos, and Smarty Pal. All of these companies had more to offer than just subscriptions, including enhancement (read-along narration), curation, and data that could be useful to parents and teachers. But they also had both a limited number of titles (in all cases, fewer than any one of the Big Five publishers could deliver on its own) and a commercial model challenged both by the operational cost of content acquisition and the need to have their own share of the revenue in addition to what the publisher takes (to share with the author). Meanwhile, the Big Five publishers have digital files of all their books and the ability to promote a subscription service to their target audience by the very simple device of promoting it on the covers of all the print books they sell and within all their ebooks. Unlike a third party subscription service, they could live with a relatively small and slowly-growing subscription base to keep the cost of subscriber acquisition low. They’d learn a lot by observing the behavior of their readers. They could find that a subscriber who looked at a picture book 27 times might be enticed to buy a print copy, so the subscription activity could also be lead-generating. And this kind of intel could really drive sales through another of the new revenue streams discussed in some detail at Launch Kids: personalized books. Subscriptions from the owners of juvie book IP for digital versions of their content also have another massive potential market: schools. All of the subscription sellers recognize that. Any publisher who had such an offering would have that market to chase as well. One publisher I discussed this with sees the institutional market as the first one to pursue but agreed after we discussed it that the ability to pursue an opportunistic single subscriber strategy, rather than needing to get enough of them to build a free-standing business, made a real difference in how profitable those single subscribers could be and how low the acquisition cost might be driven. I have been waiting expectantly for Penguin Random House to offer its content to schools on a subscription basis, which could give them a huge structural advantage over everybody else in that marketplace. I say this despite PRH consistently reporting back to me (in only the nicest ways) that my speculation about what’s best for them doesn’t square with their own thoughts on that matter. But were they to do that, the most sensible response from the other four big houses would be a combined offering to schools, since it would pretty much take all four of them to present a comparable alternative. One wonders what the DoJ would think about that.